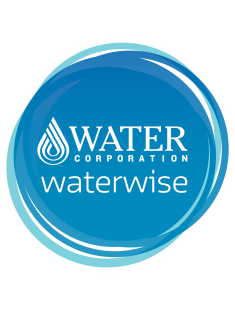 WA Cactus and Succulent Supply are proud to offer our customers Water Corporation endorsed Waterwise Approved plants. With the move to Waterwise gardens these endorsed plants are ideal additions for any Western Australian garden as they are suited perfectly to the climate requiring less water and less maintenance. The Water Corporation website houses an extensive Waterwise Plants for WA directory listing Waterwise plants suited to your region. For more information and to view the directory visit https://www.watercorporation.com.au/plants. Our Waterwise cactus plants are perfect for Western Australian gardens. They require very little water and make an attractive addition to any garden. Some of our cactus plants have stunning flowers. They love Perth’s warm, dry conditions and come in a variety of unusual shapes, sizes, textures, and colours. As water storing plants, cacti do not require a lot of water, making them the ideal Waterwise plant. Like cactus, succulents are water-retaining plants that love WA’s dry, warm conditions. Their beautiful foliage and colourful flowers have made them a garden favourite in Perth. As they require minimal water, succulents are virtually maintenance free. During the summer months, water once every 5 days if your soil is dry. During the winter months, watering plants once a month should be sufficient. When in doubt, remember the golden cactus and succulent rule – “less is more”. Make sure you let the soil dry out between watering. In general, if you take care of succulents for the first 3-months they will be able to look after themselves with natural rainfall from then on. The most important soil requirement for cacti and succulents is that the soil can drain well. You can purchase special cactus and succulent mixtures at Bunnings or use 50% sand with any inexpensive packaged soil mix. It is best to keep cacti surrounded by a topcoat of gravel. Remember to replenish your gravel annually. Cacti and succulents are not heavy feeders. However, light feeding once a year with any granule garden fertiliser during the summer months is beneficial. Bright light is best – cacti and succulents love daylight. For further information, email WA Cactus & Succulents or phone 0427 098 285.